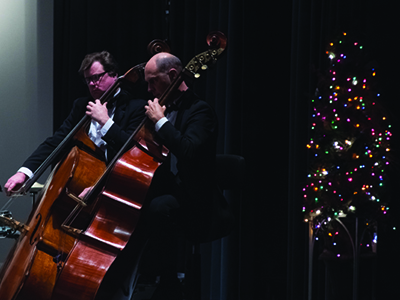 The beloved North Carolina Symphony Holiday Pops Concert is an annual tradition in Tarboro. Led by Associate Conductor Wesley Schulz, the concert features familiar seasonal and classical favorites and the popular holiday sing-along. This popular event kicks off "A Tar River Christmas" weekend of holiday fun. General admission tickets $25 adults and $10 students pre-K through college. Tickets on sale August 21.